Mistress Day is Feb. 13th -- a.k.a. the evening philandering gents reserve for romantic dinners with their mistresses. 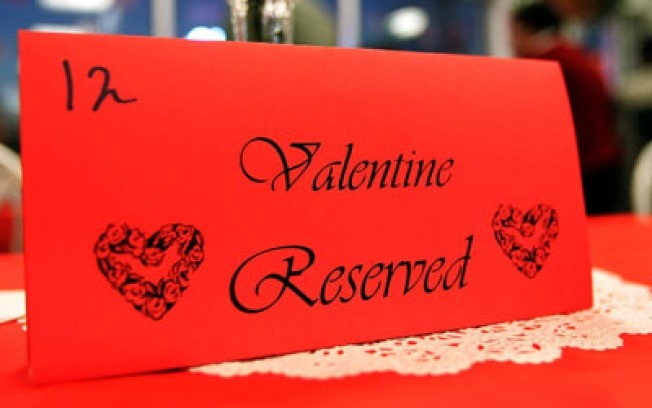 February 13th is reserved for romantic dinners with the other woman, according to a restaurant source. It's buried so deep in the love-themed article in February's Gourmet, we might have missed it if Gothamist hadn't pointed it out to us: As the Four Seasons' Julian Niccolini reveals, a dirty little secret of the restaurant business is that February 13th is one of the busiest days on a maitre d's calendar, because that's when philandering gents take their mistresses out for a romantic Valentine's meal (so they can save the 14th proper for wifey, see?). We're not sure how it makes strategic sense to patronize the same establishment two nights in a row with two different ladies, but clearly these men are more evolved than we. So go, cheaters! Get your cake on February 13th and eat it the next day. And be sure to reserve a handsome wad of hush money tip for your server, bartender, and anyone else who makes your evenings with your soulmates special.